Beautiful Rêves de Lavande Earrings make an elegant statement, whether you wear them with jeans and a t-shirt or to a little bistro on a weekend to Provence. 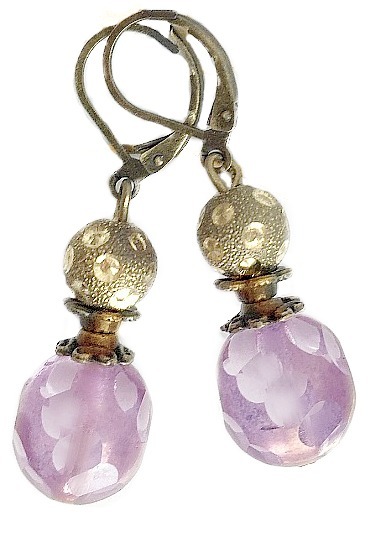 The faceted light lavender purple drops are crystal stones that have a touch of rose and gold, they compliment the sparkling gold colored spheres. Designed and meticulously created by American jewelry designer and artist Georgia Hecht. Wonderfully crafted in our USA, these are sure to become your favorite in your jewelry collection. Measure 1-1/2" l x 3/8"w.